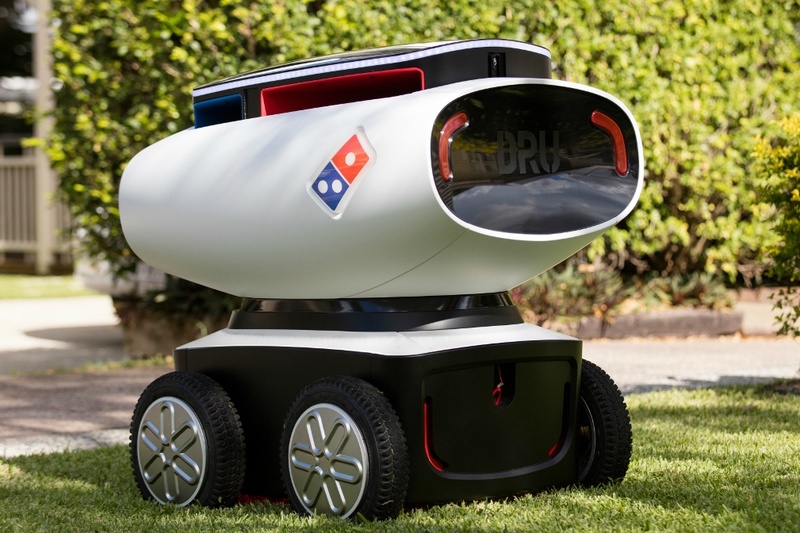 Pizza giant Domino's have recently started to test a new delivery method in Brisbane, Australia... robots! 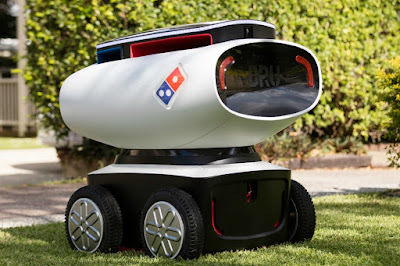 The Domino's Robotic Unit, or 'DRU' to his friends, is a self-driving drone designed to ferry hot pizzas and cold drinks to customers without the need for a human delivery driver. Sorry humans; this is another career path soon to be closed to you. DRU can travel at 12 mph and uses GPS and lasers to find his way around. IP cameras are dotted over the body of the robot, to both help it see and also to deter hungry thieves and people who might find it funny to kick a $22,000 robot carrying a pizza. Such as everyone. Especially the CEO of Pizza Hut. The robot will pilot itself along pavements and cycle paths, before arriving at the customer's home. Patrons then type a special passcode into DRU, and the plucky wee chap opens up to reveal the (hopefully) still piping hot pizza. We don't yet know if there is a slot to insert a tip. Currently only being trialled in Brisbane, one day DRU and his descendants could be dropping off pizza to your front door. We're positive that 'DRU-tipping' will be a craze to sweep delinquents across the globe.